I think it fair to say ever since Makeup Revolution launched in March this year they're amazing quality, revolutionary priced makeup has taken the blogosphere by storm and recently I jumped on the bandwagon and treated myself to a few bit's, I have a haul post on all the pretties are bought HERE! So today I thought I'd share with you my thoughts on the 4 gorgeous lippies I ended buying. Firstly can I just say what an amazing shade range Makeup Revolution have, theres 30 shades to choose from ranging from nudes to brights to darker vampy shades, with finishes such as matte, creamy and satin so theres certainly something to suit everyone, and whats best is that they are all just 1 teeny, tiny little pound, BARGAIN ALERT! As I said before I picked up 4 of the Amazing Lipsticks, which was extremely hard as I was tempted to buy them all but I was good a restrained myself slightly he he. I'd heard so many good things about the Vamp Collection and in particular Rebel With A Cause because of it's likeness to MAC's Rebel so that went straight into my basket, next I chose Fusion which is basically a matte version of Rebel With A Cause, I have no idea why mine turned up with it's point cut off but for £1.00 I cant complain really he he. My next lipstick purchase was another from the Vamp Collection aptly called 100% Vamp, this shade really reminds me of the Lorde MAC Lipstick that's coming out, it has a very deep, purple/plum tone to it so is definitely great to create Lordes signature vampy lip, and lastly I decided to pick up a coral toned lippie for the summer months so I went with Chic, as much as I think the shade of Chic is absolutely stunning , it contains loads glitters and shimmers which I'm not to keen on but hey, I'll make it work! So what are my first impressions of the 4 lipsticks I bought?? Well each lipstick has great pigmentation and have the ability to be worn more shear or you can build them up to an intense pop of colour, they all glide onto the lips super smooth and have such a creamy, moisturising formula, even Fusion (the matte shade) applies smoothly and hardly drags on the lips at all, and for a matte shade that's brilliant. As for lasting power... Rebel with a Cause, Fusion and 100% Vamp all last a good 4-5 hours on me, I put this down to their great quality and amazing colour payoff, Chic on the other hand doesn't last as long, I'd say around an hour or so but it is quite a sheer/subtle lipstick so that's to be expected. The packaging of each lipstick is nice however the lids seem to hate me and fly off so easily all the time, but I love the sleek black casing and the little cap of the same shade of lipstick in the top of each lid is cute and makes finding your chosen lipstick shade super easy whilst they are in your lipstick holders or storage. A very creamy textured, berry shade with a beautiful glossy look and finish. 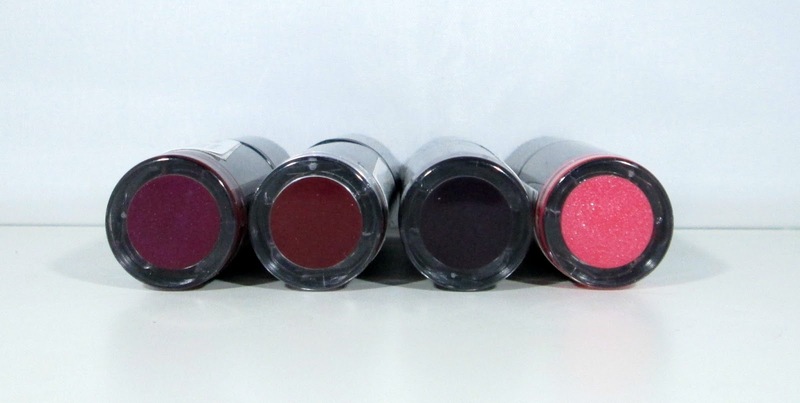 A matte berry shade that can be worn more sheer or can be built up for intense colour. A deep purple/plum shade with a creamy texture and a slight glossy sheen to it's finish. A gorgeous, subtle coral shade that wears quite sheer and contains lots of micro shimmer particles that sparkle in the sun. 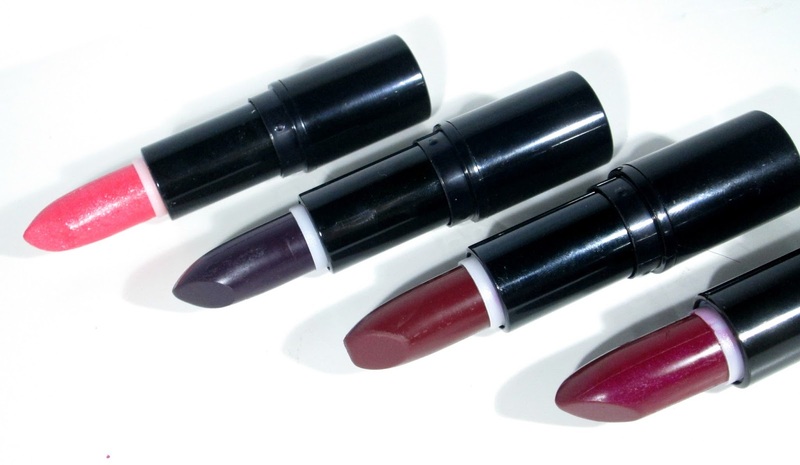 Overall I absolutely love these lipsticks and have been so impressed, my favourite shades are definitely Rebel with a Cause and Chic, arrhh I just love them and for just £1.00 each you really cant go wrong! 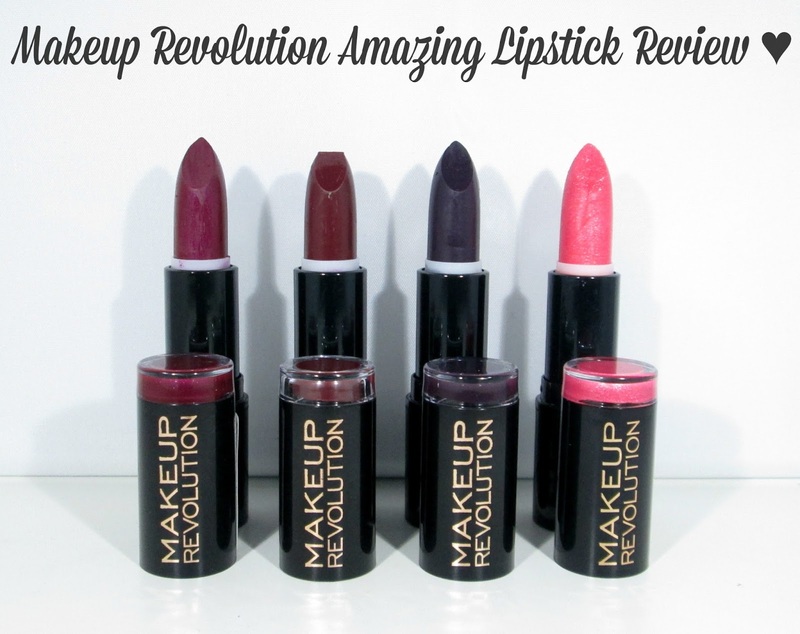 What's your favourite Makeup Revolution Lipstick beaut's?? I'd love to know. Rebel with a cause looks gorgeous! I can't believe they are only a pound! All of the shades are lovely especially 100% Vamp (I'm a sucker for a dark, daring lip). 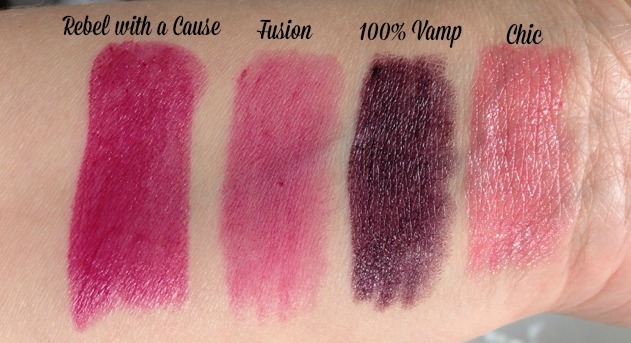 Wish I was brave enough for vamp, but they are all gorgeous shades! These are so pretty. Loving these shades at the moment. I'm really into that plum lipstick, so pretty!